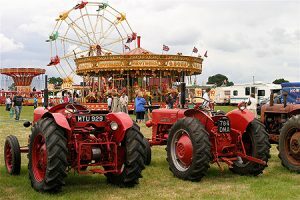 We have teamed up with the organisers of the Cheshire County Show to offer a family ticket to the Cheshrie show in this month’s competition. This Cheshire Show Family Ticket, worth £35, allows 2 adults and 2 children to enjoy one of the best family days out in the North West absolutely free. One of the largest Agricultural shows in the country, consisting of demonstrations, agricultural shows and competitions to find the best in breed. From Pigeons to Ponies, Horses to Hounds, all compete for the much coveted prize of supreme champion. To win tickets to this truly fantastic family event simply enter your details below. 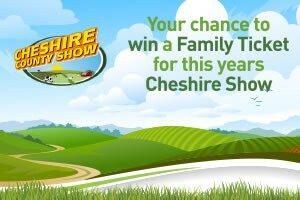 The Cheshire County Show Ticket Winner will be drawn on June 16th. Best of Luck! This year’s Cheshire Show takes place on June 23 and 24, 2015 on the spectacular showground, at Tabley, near Knutsford. 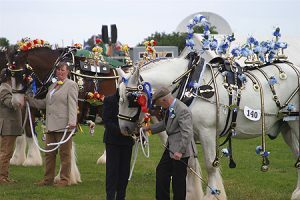 One of the largest Agricultural shows in the country, the annual Cheshire Show boasts around 80,000 visitors each year. Attractions include: thousands of horses, cattle and dogs featuring in competition events, Creamline Dairies Main Ring, vintage machinery, a Farmers’ Market, Countryside Experience with Birds of Prey, traditional and modern rural crafts, floral displays, Sainsbury’s Agri-Centre, and a host of celebrity chefs at the Roberts Bakery Food Hall. All this and over 600 trade stands spanning an incredible five kilometres. This year the internationally-renowned Generation Music Club is teaming up with the Cheshire Show for the launch of the show’s first ever Music Marquee. This article was added on Tuesday, May 12th, 2015 at 9:09 am and is categorised under Cheshire News, Competitions, General News, Northwich Events. Both comments and pings are currently closed. Error: Error validating access token: Session has expired on Saturday, 09-Mar-19 13:12:58 PST. The current time is Thursday, 25-Apr-19 05:54:10 PDT.